Looking for a fun way to use up your extra yarn? 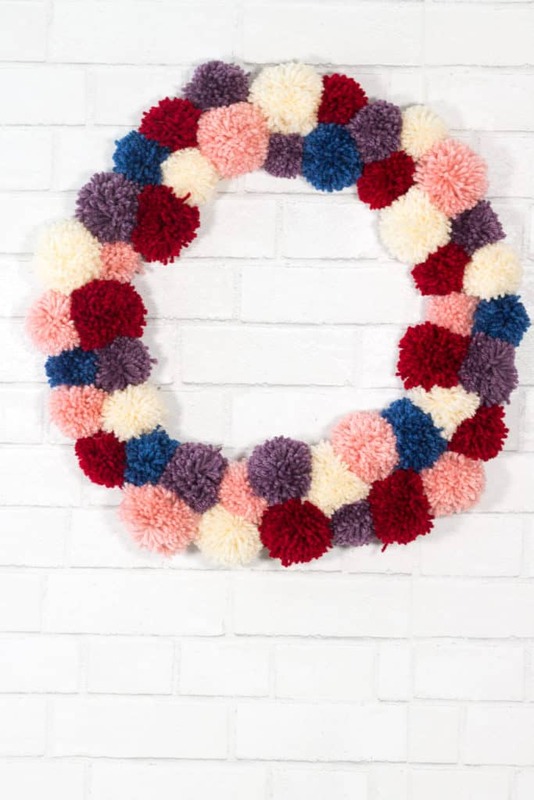 This wreath using yarn scraps from crocheting and the clover pom pom maker will get the job done! 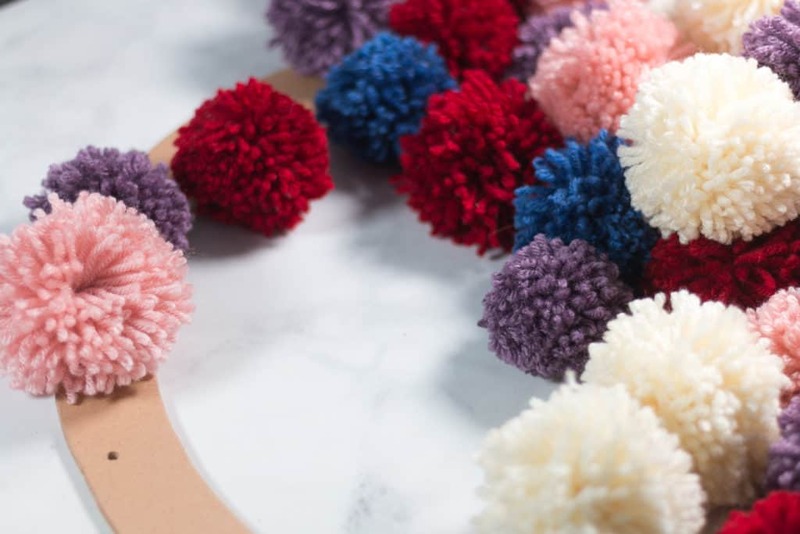 Yarn Poms are probably one of the easiest and funniest crafts you can do with yarn! My kids even like to join in when I make them. First you will need to some yarn. I used a worsted weight yarn for my example. See below for the exact yarn colors I used. Next you will need Pom Pom Makers. I used two different size makers for my wreath but you could use all one size or even do four sizes instead! Click on the image below to check them out and see what you think! If you need help with using a Pom Maker you can read my post “here” about how to use the Clover Pom Pom maker machines. Wreath door hanger ( to hang this beauty up when you are done!) or Command hooks. 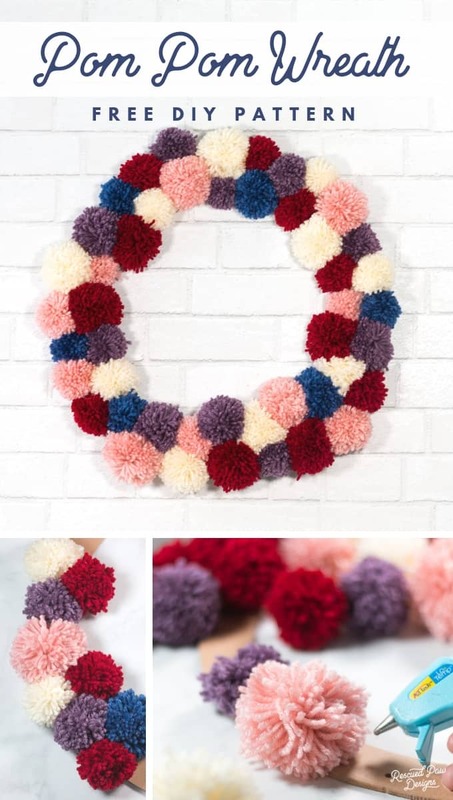 Follow the pom pom wreath instructions below to make your very own DIY wreath! 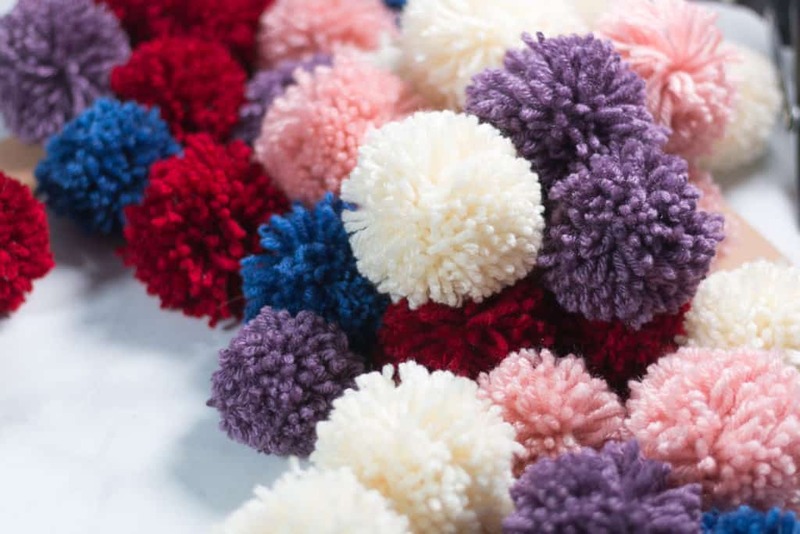 Use the directions on the pom pom maker to create two different sizes of poms of various colors. 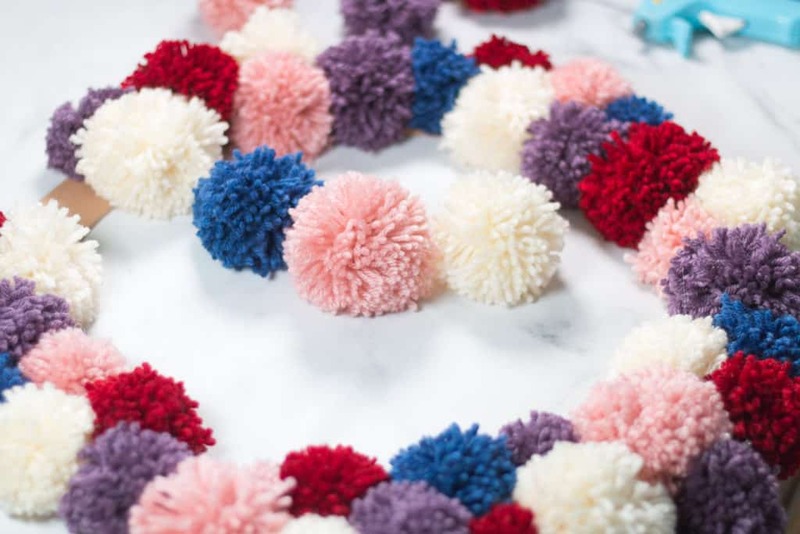 If desired, mix the yarn to give some of the pom poms a sprinkled color look. Make about 50-60, depending on the fullness of the desired wreath. Learn how to use a pom maker “here“. After making all of the pom poms, and before gluing, place the pom poms on the wreath, mixing up the sizes. 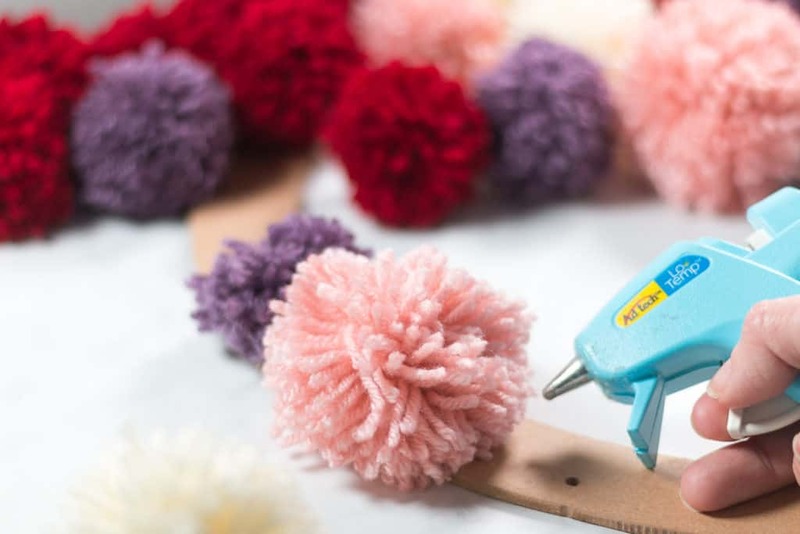 Once the placement of the poms has been figured out, glue them in place with the hot glue gun. 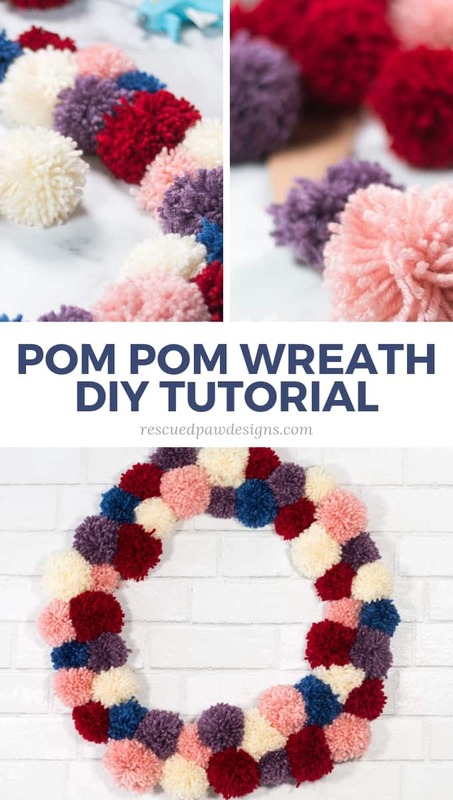 Once they are all glued in place then you are ready to hang your new pom pom wreath! I used a command hook but you could use an over the door hanger too. You are done with your pom wreath! The color possibilities are endless with this project. I can see this one in different shades of green for St. Patricks Day or even use the colors I used in this one for a Valentine’s Day Wreath! Please me sure to share with me on social if you do decide to make this.